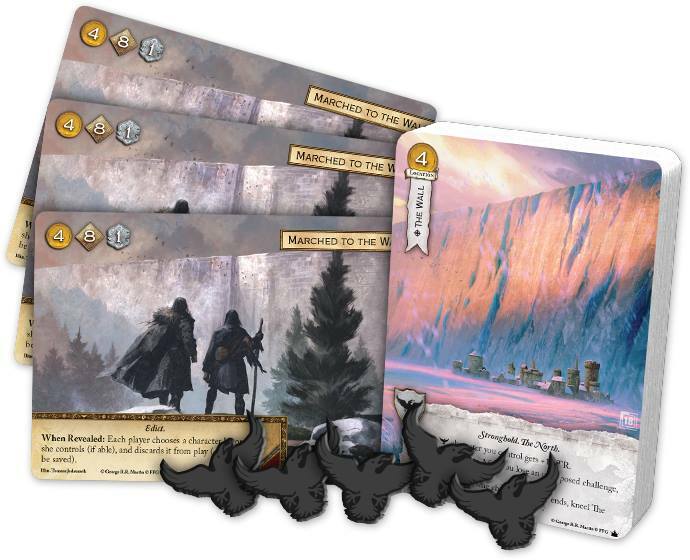 Our next tournament for the Game of Thrones Living Card Game is May 12 at 1PM! Bring your favorite joust deck to compete. Top 16: Alternate art The Wall. Top 2: Alternate art Marched to the Wall. Champion: Set of five acrylic Night’s Watch tokens.